2016 was a strong year for the US consulting market, which saw growth of 7.1%, reaching a value of $58.72bn. An explosive digital transformation market played a big role in that growth, as did hot demand for cybersecurity as clients made steps to safeguard their digital empires. Uncertainty introduced by Brexit and the tumultuous presidential race created a slight dip in activity in the middle of the year, but by late 2016, clients were fully back in action and the year closed strong. 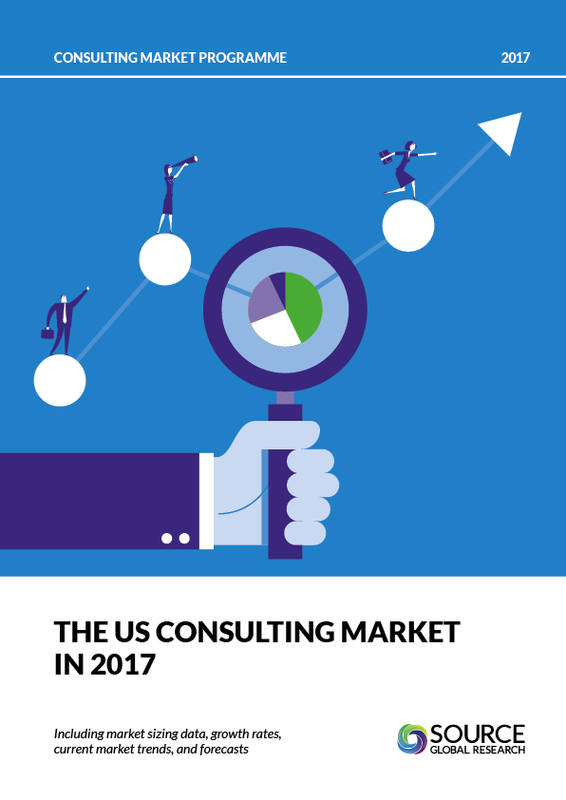 Our new report on the US consulting market in 2017 is now available, and as of this year, that report comes as part of a bigger package. Along with the report, you will receive a new, extended executive summary pack, which provides a quick overview of market data and trends, as well as access to Source’s Global Consulting Model Data Portal, which allows you to interact with data from the report and create custom views of the US market to suit your needs.